The Yak 9 was a long-range, multi-purpose fighter built in large numbers for the Soviet Air Force during WWII. The aircraft was flow by a number of Soviet Aces and by the Free French unit, Normandie-Nieman. The Yak 9 entered service in November of 1942 and over 15,000 were built. The Yakovlev Yak-9 was a single-engine fighter aircraft used by the Soviet Union in World War II and after. Fundamentally a lighter development of the Yak-7with the same armament, The Yak-9 had a lowered rear fuselage decking and all-around vision canopy. Its lighter airframe gave the new fighter a flexibility that previous models had lacked. The Yak-9 was the most mass-produced Soviet fighter of all time. It remained in production from 1942 to 1948, with 16,769 built (14,579 during the war). Towards the end of the war, the Yak-9 was the first Soviet aircraft to shoot down a Messerschmitt Me 262 jet. Following World War II it was used by the North Korean Air Force during the Korean War. LTD is a model company based in Carrolton, Texas. They specialize in limited short run kits that are made in the Czech Republic and packaged in the U.S. This kit came in a shrink-wrapped end-opening type box. 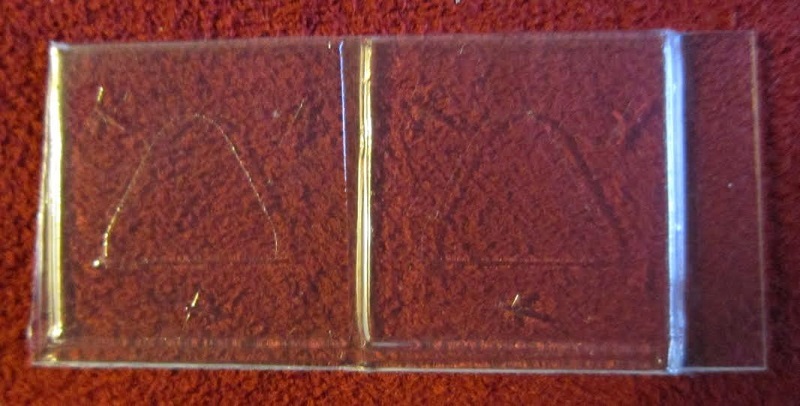 I am no fan of this type of box, because invariably parts or the decals find their way past the end flaps to become lost in the shag rug where the plastic eating monster resides. Give me a tray and lid type box any day of the week. The box are shows a Yak 9 flying above clouds and it has just downed a German Stuka that is trailing smoke in the background. The Yak 9 is in a camouflage scheme of a wave pattern of green FS 34102 and black green FS 34052 (RLM 70) over light blue FS 35414. It has red stars outlined in white on the fuselage sides and the tail. In front of the fuselage star is a black eagle. This aircraft was flown by Lt. Col. Mikhail V. Avdeyev, commander of the 6th GV IAP, Black Sea Fleet in the Crimea during the summer of 1944. (it is one of the 3 marking options in the kit). One side panel shows the color box art of the French Dewoitine D.520 fighter that LTD also markets in 1/48th scale. However, no kit no is mentioned. This illustration is followed by the history of the D.520. The other side panel repeats the box art in a smaller illustration, followed by the history of the Yak 9. Lt. Col. Mikhail V. Avdeyev. Commander of the 6th GV IAP, Black Sea Freet. He was an ace with fifteen kills and was awarded the Hero of the Soviet Union Award on 14 June 1942. The markings depicted are for his aircraft while it was at Adler in the Crimea during the summer of 1944. Lt. Marcel Lefevre was a French ace with eleven kills, all scored while serving with the Normandie-Nieman Regiment in Russia. He was the commander of the 2ndEscadrille. Yak fighters were also supplied by various patriotic groups to the Soviet Air Force. This Yak 9 was donated by the Moscow Little Theatre and carried an inscription on the fuselage in white which read “Little Theatre to the Front” The aircraft was assigned to a flight commanded by Lt. V. Melekov. This kit contains 2 pale grey trees of parts and a clear tree of parts in a sealed cello bag, the decal sheet and the instructions. There are no parts tree illustrations in the instructions and the parts trees are not alphabetized or numbered. 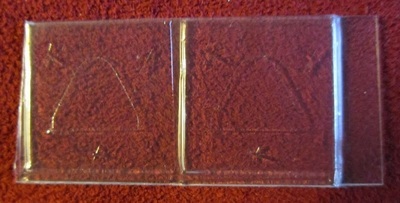 Neither are the parts shown in the assembly steps. This will make extra work identifying what parts are needed for each step. The instructions consist of a single sheet that accordion-folds out into 6 pages in 8 ½” x 11 page format. LTD kits are produced to offer the 1/48th scale modeling enthusiast subjects that, for some reason or another, have been constantly overlooked by other model companies. However, please note that these kits are not produced from highly sophisticated long run hardened steel molds, and consequently some details, such as locating pins, etc., cannot be provided and may have to be fashioned by the modeler if required. 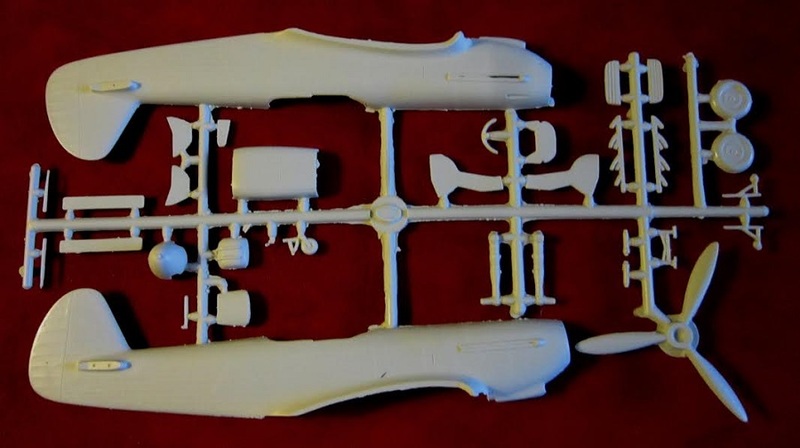 Heavy sprues, and a certain amount of flash are unavoidable in the molding process. Care must be taken when removing each part from the sprue tree and additional time must be taken in cleaning up and dry fitting each part before assembly. This said, it is obvious LTD models are not for the novice modeler. 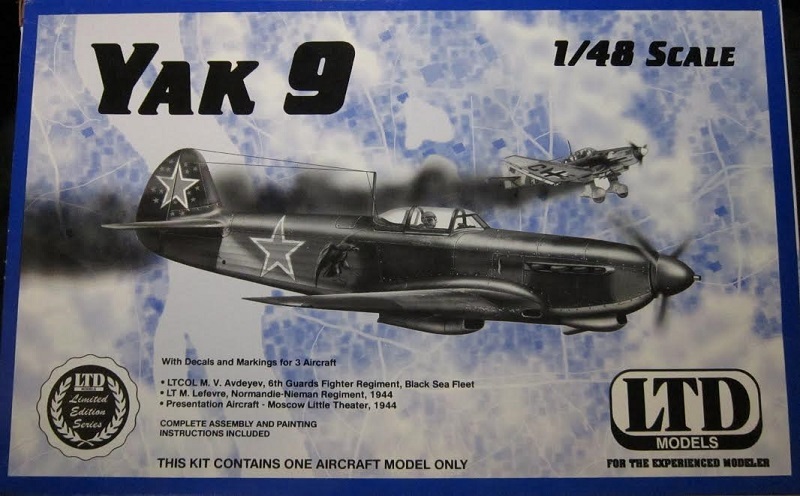 To the right of this statement is a black and white photo of the model made up in the markings for Lt. Lefevre’s Yak 9. The bottom of the page has a long history of the YAK 9. The top of page 2 has international assembly symbol explanations, followed by the first 3 assembly steps. Page 3 has the 4th and final assembly step. Some parts need trimming and holes need drilling in these steps. The bottom of page 3 has an explanation of scale color. Page 4 has a 3-view illustration for the marking and painting of Adeyev’s Yak 9 (the box art subject, already described above). There are red stars outlined in white under the wings, but not on top of them. Page 5 has a 3-view illustration of the Presentation Yak 9 purchased by the Moscow Little Theatre group and flown by Lt. V. Melekhov. It is in a wave pattern of medium grey FS 36307 and grey FS 36270 over light blue FS 35414. It has a large red star outlined in white on the fuselage sides and a smaller red star outlined in white on the tail. In front of the fuselage star is the slogan in white of “LITTLE THEATRE TO THE FRONT” in Russian. There are red stars outlined in white under the wings, but not on top of them. Page 6 has a 3-view of the Yak 9 flown by Lt. Marcel Lefevre while serving as commander of the 2nd Escadrille, Normandie-Nieman Regiment. It is in a wave pattern of green FS 34102 and black green FS 34052 (RLM 70) over light blue FS 35414. The propeller spinner is striped in insignia red FS 31302, insignia white FS 37886 and insignia blue FS 25200 (the French flag colors). It has a white lightning bolt down the sides of the fuselage with a white number 14 over it, a large red star outlined in white on the fuselage sides and a smaller red star outlined in white on the tail. Red stars outlined in white are below the wings, but not above them. 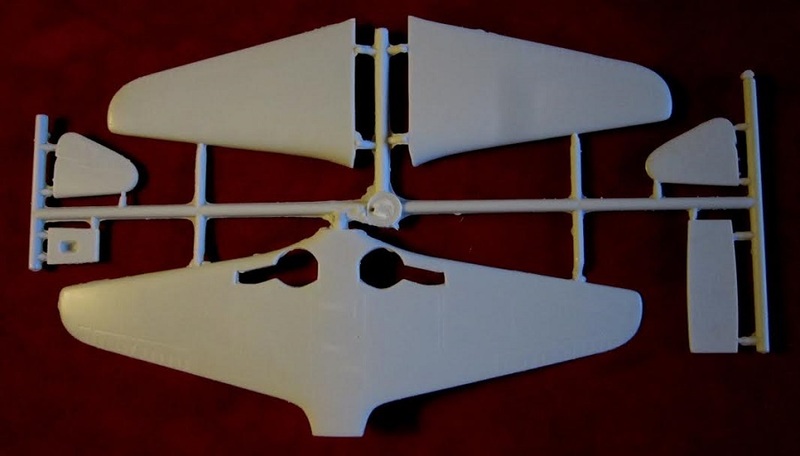 The clear parts are vacu-formed, two parts are full cockpit canopies (one is extra in case you mess up cutting them to open them up) and the other part has 2 cockpit bulkheads. The canopy will have to be surgically opened if the interior is to be seen. The cockpit could stand more detail and some seat belts. There is no pilot figure included. 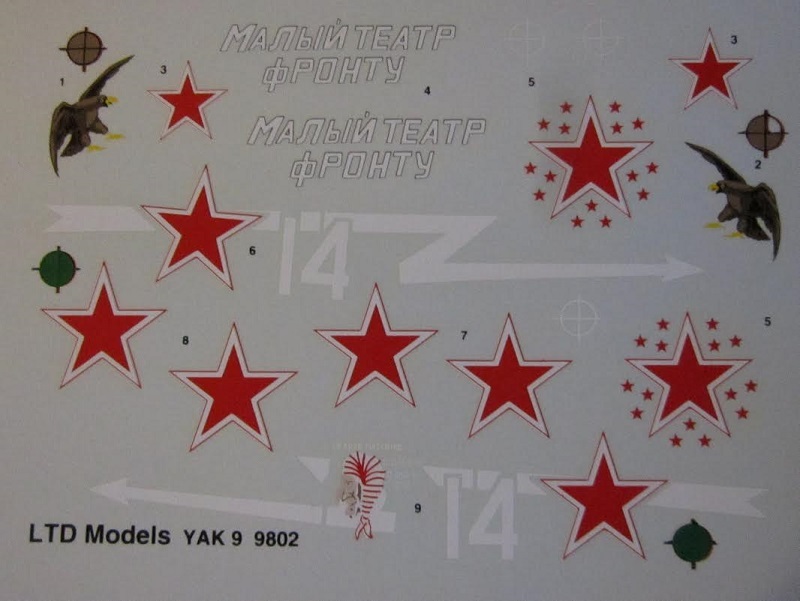 The kit decals for the versions described above. I recommend this kit only to advanced modelers that want to go the extra mile on building it and adding detail. All the control surfaces are molded solid. Detail is lightly engraved and I fear might disappear under too heavy a paint coat. It may need rescribing.